BNP Paribas is a leading European lessor and has won several awards. “European Lessor of the Year” at the “Leasing Life Awards”. This is one of the leasing sector’s major awards. 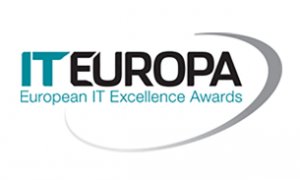 “Financial Solutions Supplier of the Year” award given at the annual “European IT & Software Excellence Awards 2017” ceremony. The 1st biggest European Lessor in terms of volume of activity and new contracts generated during the year. This ranking is established each year by Leaseurope, the European federation of associations representing leasing companies.